March goes out like a lion. 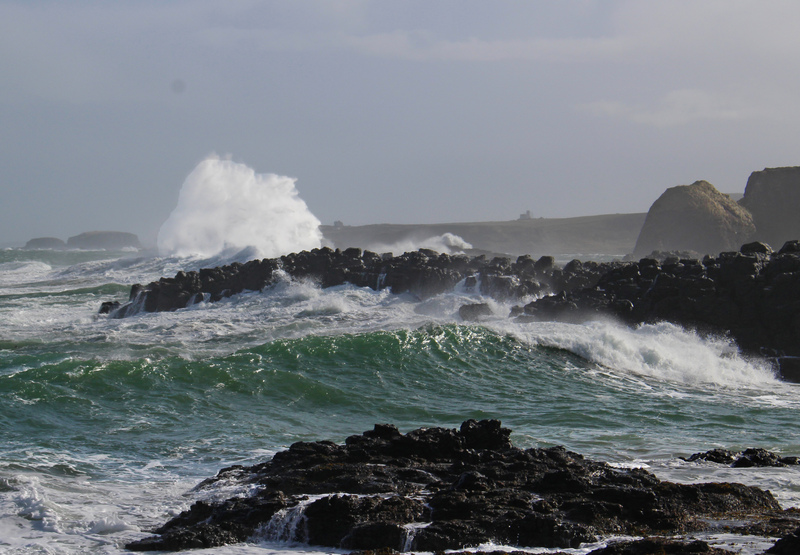 Its been an amazing day on the north Antrim coast. 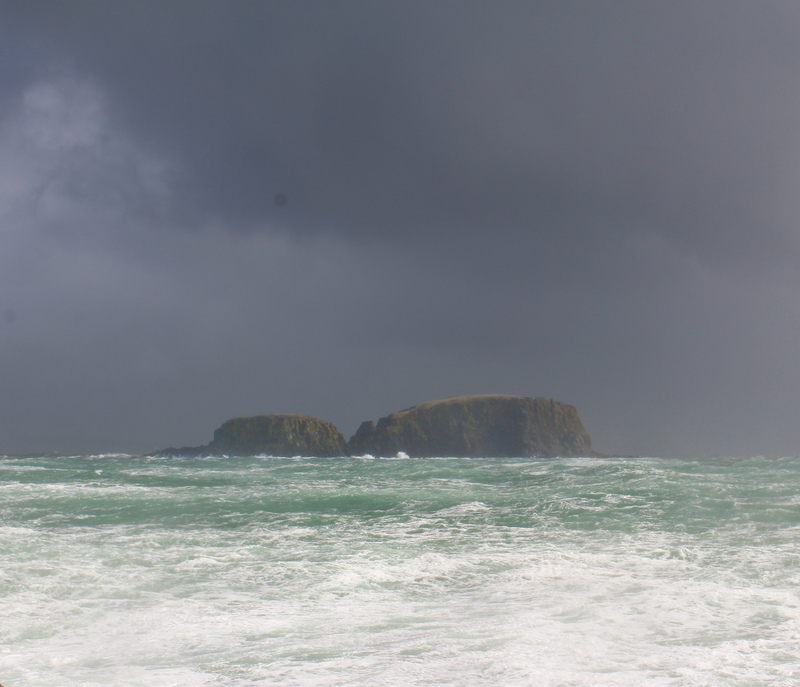 A day of constantly changing scenery and showers, wind so strong that it wasn’t wise to go too close to the edge of the harbour, one moment its sunny and cold the next its windier and hailing and you can’t see more than a few hundred yards. 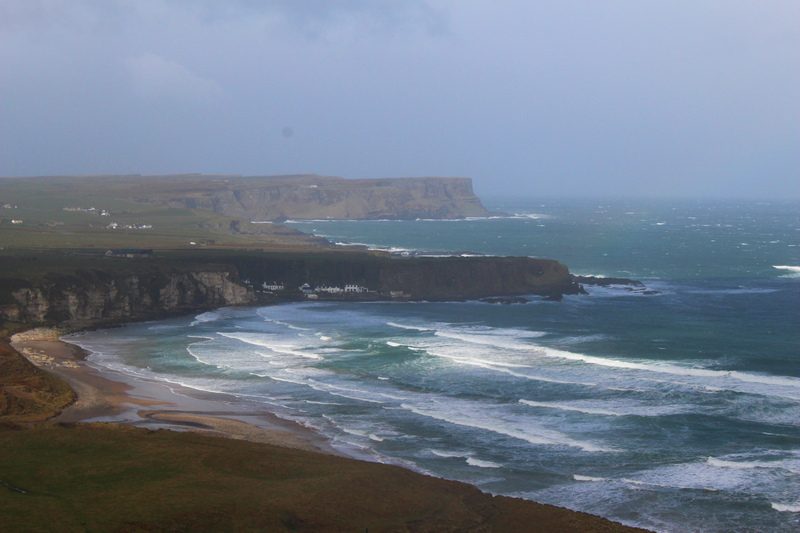 The view from Dunseverick towards Ballintoy church – it was relatively sunny at this point. Large waves and lots of spray. 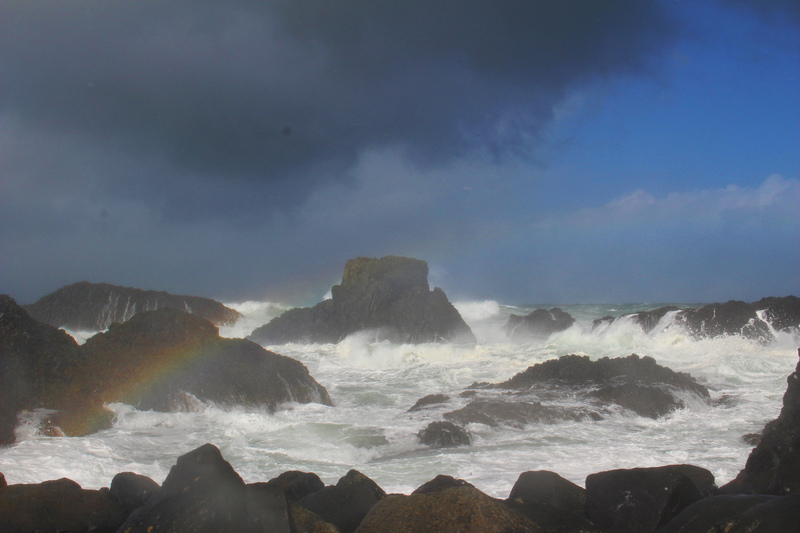 Only a few minutes along the coast at Ballintoy harbour and the sky is darkening. The sea is so turbulent it is smothered with white foam and Sheep Island may soon be obscured by the hail. Taking a welcome Easter break on the north Antrim coast. The weather is not very Easter or spring like. However at one point today it stopped raining and I got outside to take a few shots nearby. 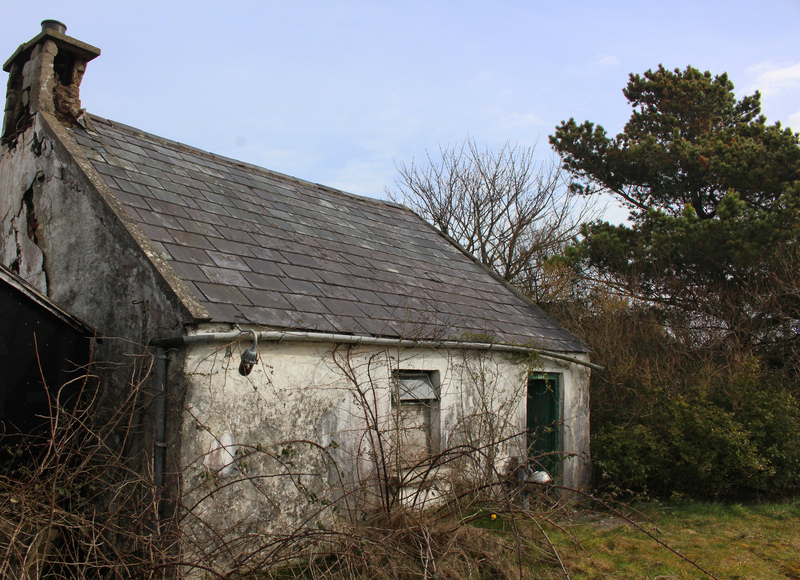 I came across some daffodils in a lane way leading to a falling down cottage. 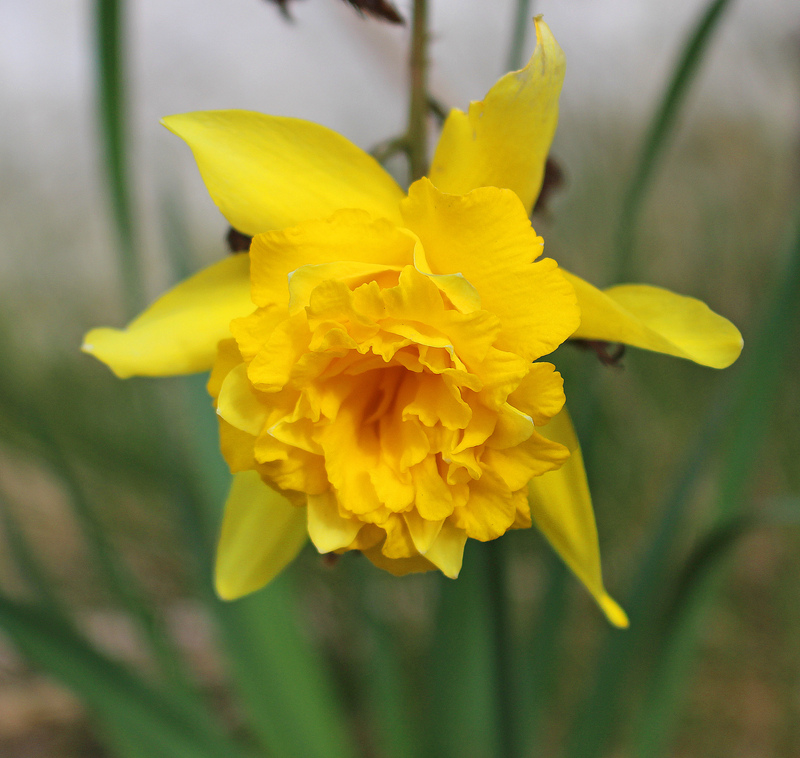 I noticed them because they are a bit different – I used to call these “double” daffodils although I doubt that’s an official term. They remind me of daffodils I used to pick as a child. I grew up on a small farm in Co. Armagh which included 2 orchards. 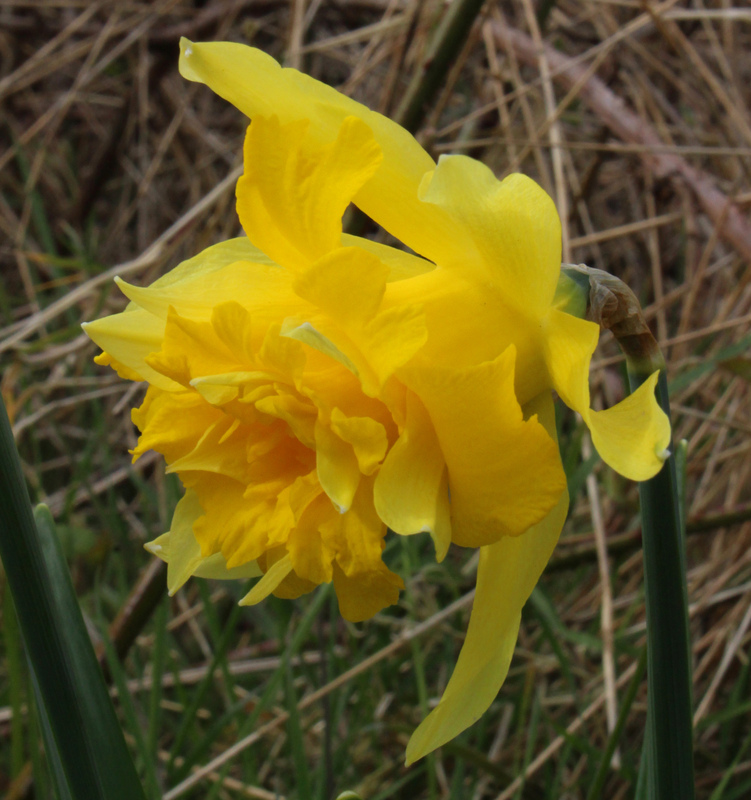 Every spring these “double” daffodils appeared all around the edge of both orchards. I remember being told they were planted by my great grandmother. 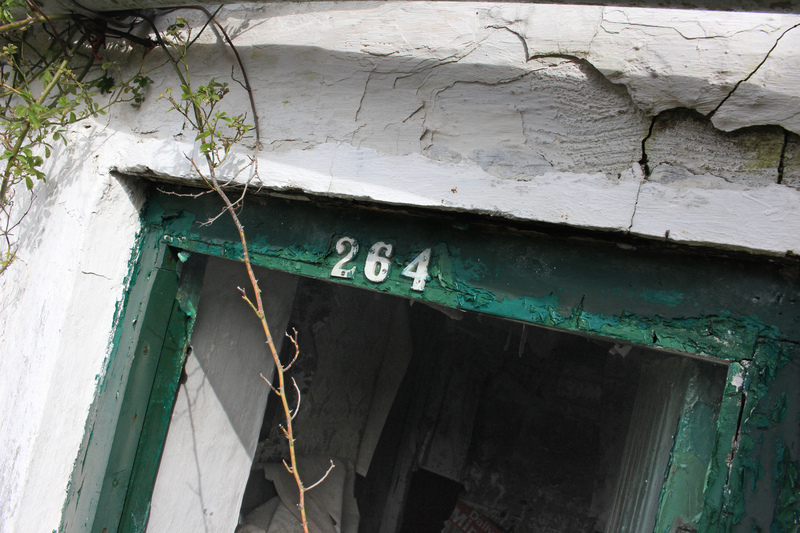 Today this cottage is in a pretty poor state and I don’t imagine number 264 has been lived in for several decades. 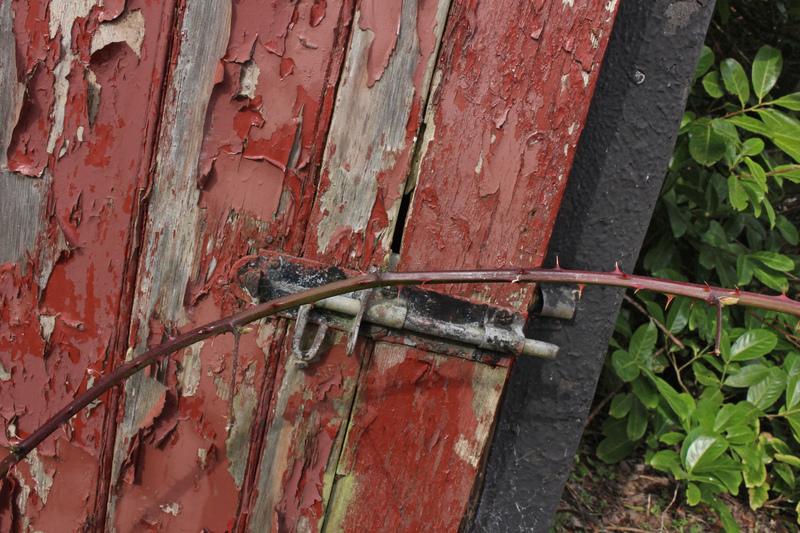 There are some outhouses opposite with lots of cracked paint and rotting wood. The house itself looks like there was a single room downstairs. No inside toilet, I imagine no hot running water…. and all around is overgrown and forgotten. it’s been a beautiful weekend. 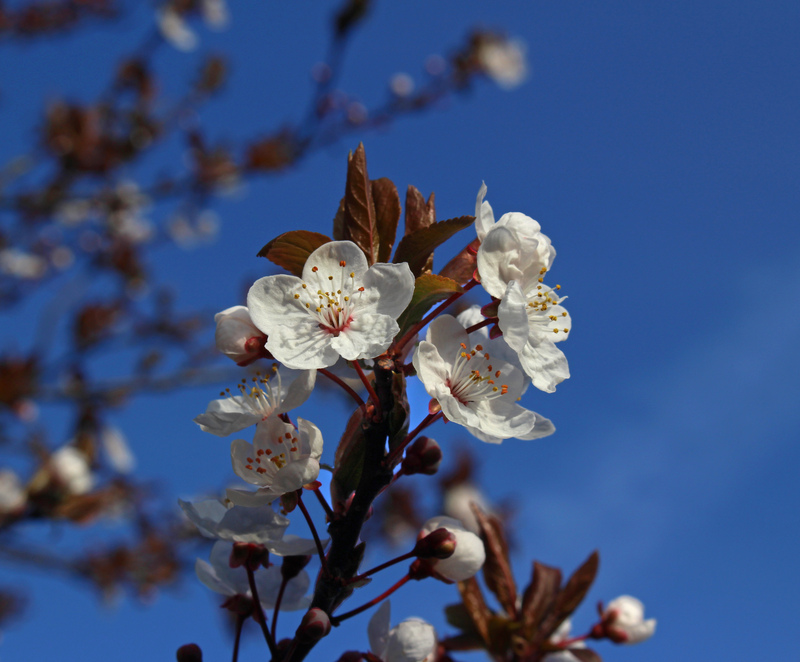 Pretty warm for March – no rain and lots of blue sky. This morning it looked so good we went for a 3 mile walk just after 7am. 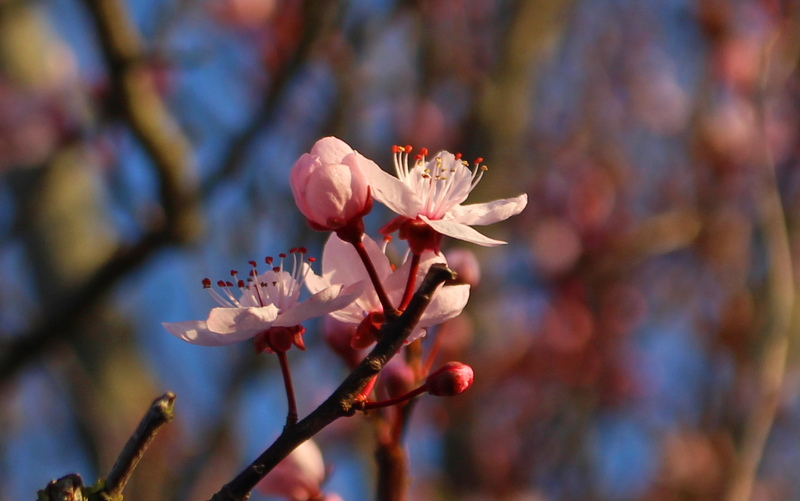 Many of the trees in the gardens around us are starting to bloom. The birds were singing interrupted by only the occasional car. 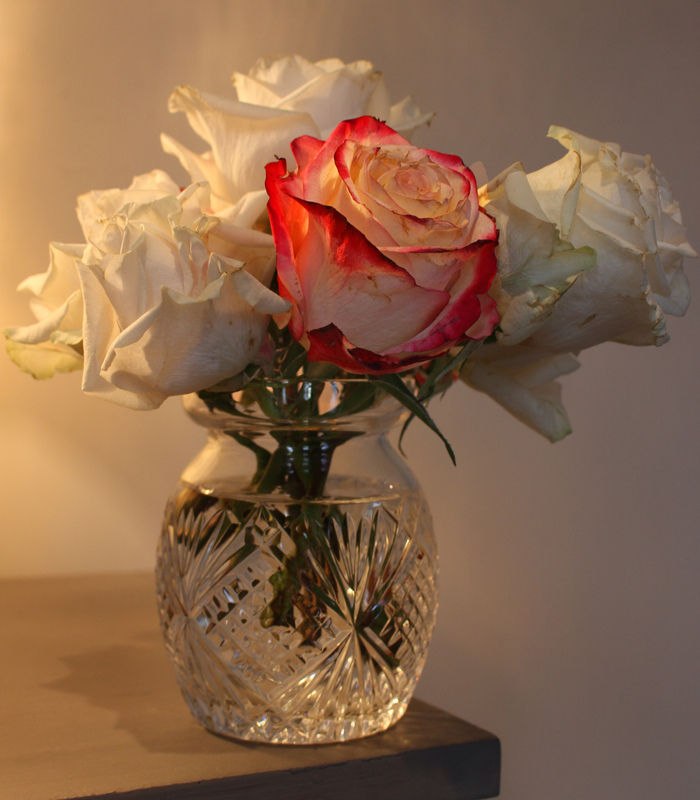 There are also some surviving blooms indoors (thanks to M+S) in the hall from mother’s day – they are in a smaller vase now as they have been cut back and some have been discarded. They have done “what it said on the tin” which was guaranteed blooms for 7 days. 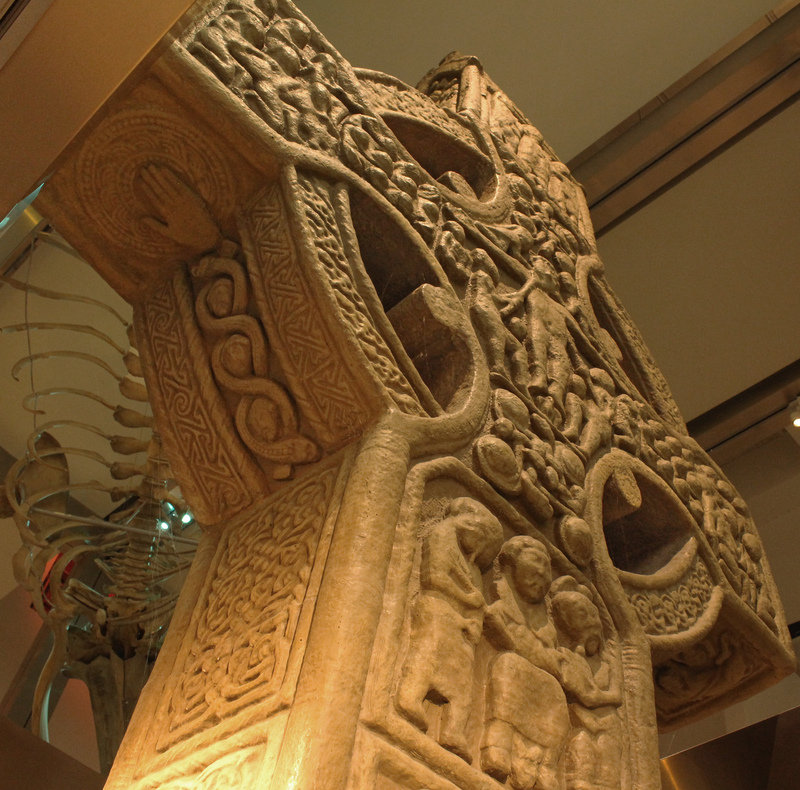 this celtic cross, is very different to the one in my last post. As you can see from the dates it is a war memorial, in the village of Hillsborough, Co. Down. 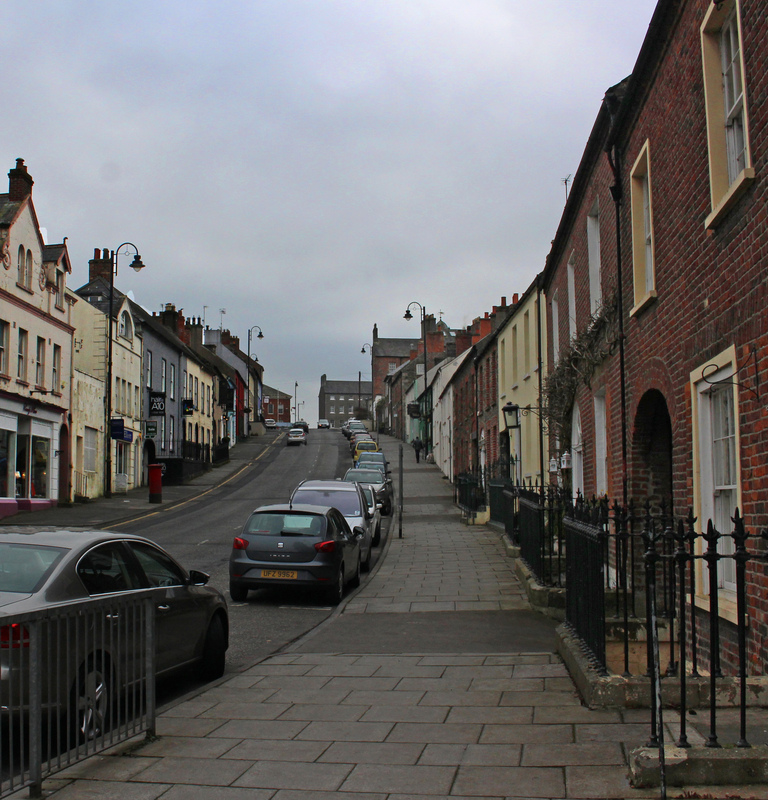 I went for a walk around the village this morning. 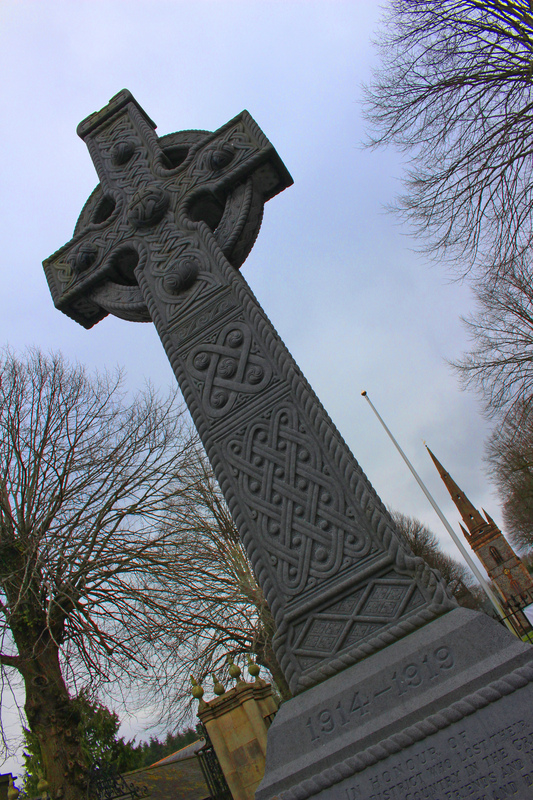 The Church of Ireland which is in the centre of the village can just be seen behind the memorial. 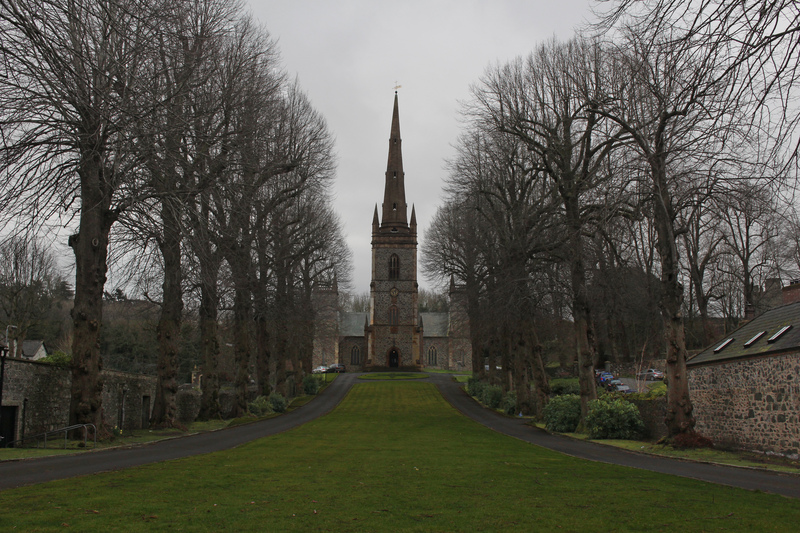 The church building itself is in a beautiful setting and dates back to the mid 1700s. 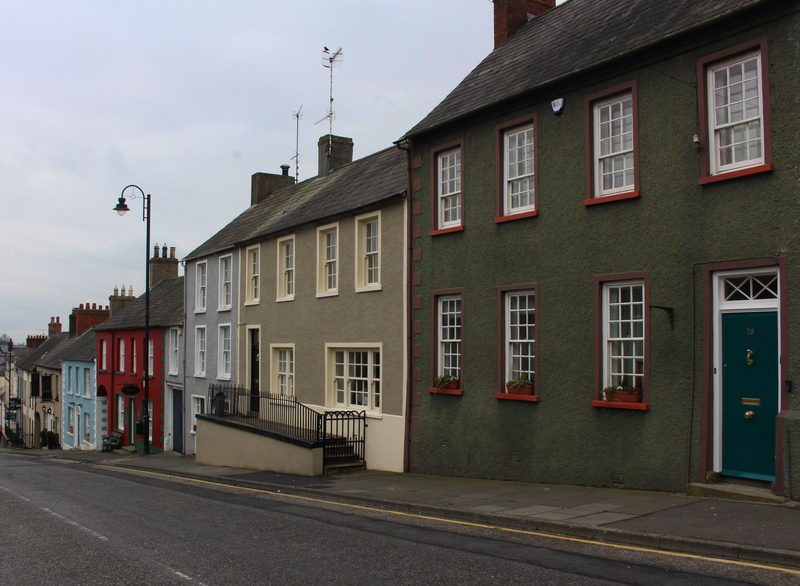 on a quiet Sunday morning there was only the occasional car driving through the village. It’s on a hill and is best known for the castle at the top of the hill – the official residence of the Secretary of State and Queen Elizabeth. Someone had parked a white van beside the perimeter railings and my photoshop skills don’t stretch to removing it so I decided to skip out that shot! 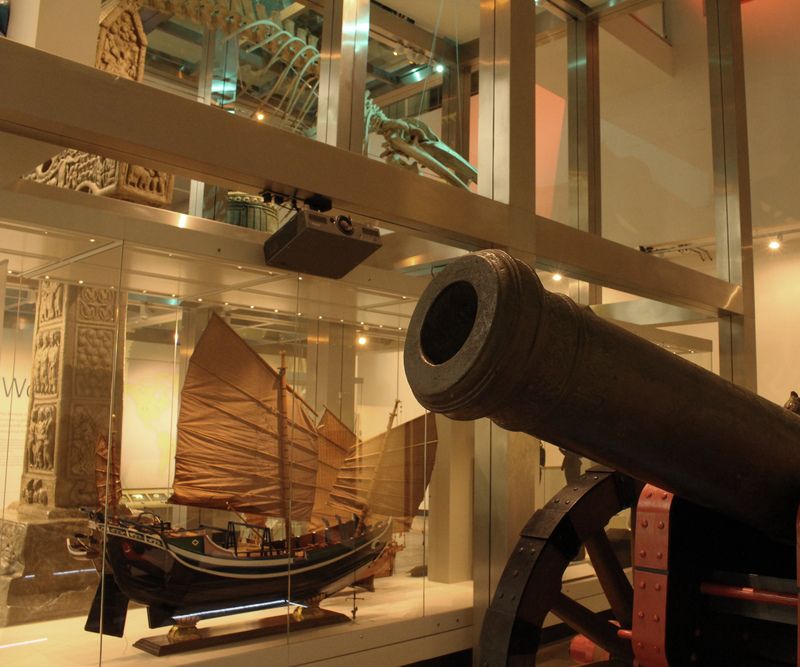 I rarely manage it but love to visit a museum just to wonder round, reading about all the exhibits. My family are very much less enthusiastic and in the case of my son just want to run around stopping at whatever takes his fancy. Nothing is read and my approach is so boring. 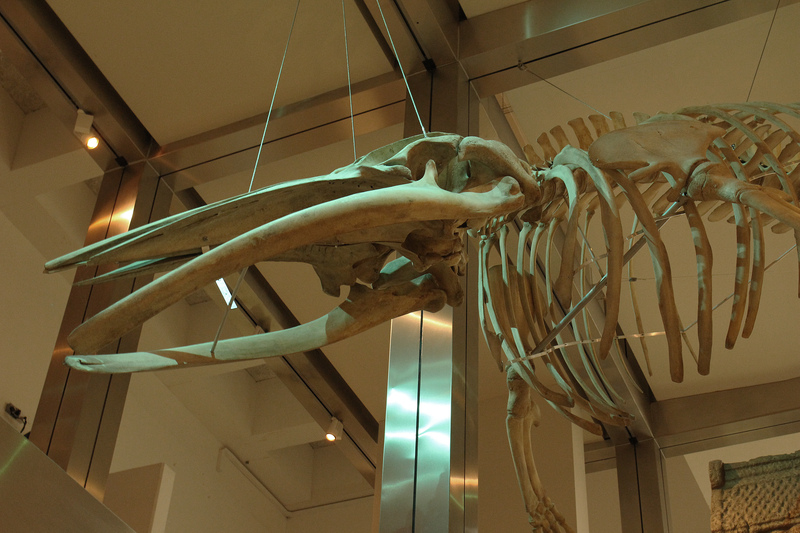 This week on annual leave I got to go to the Ulster museum all by myself one morning. 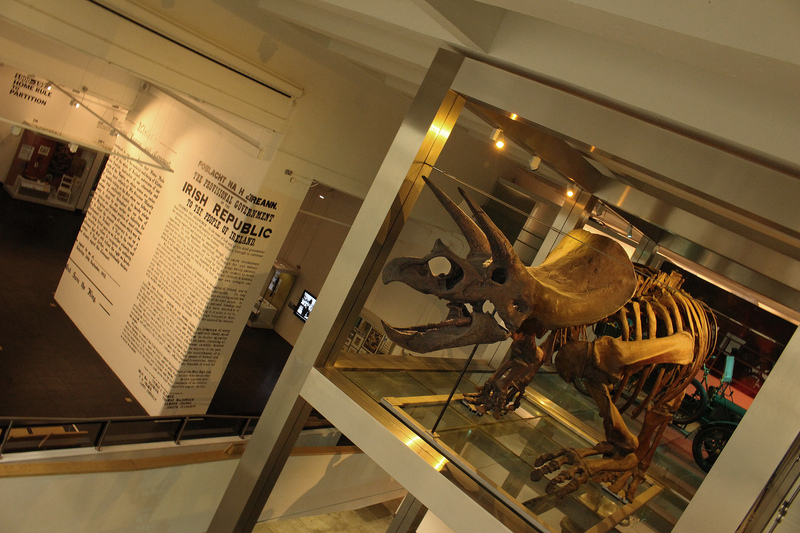 They have a large very contemporary central atrium and off to one side is the “window on our world.” On several glass floors are a series of exhibits as diverse as a celtic cross (the original from Co. Louth dating back to the 10th century) and a triceratops skeleton and a cannon from the Spanish Armada found in Donegal and the skeleton overhead of a whale. 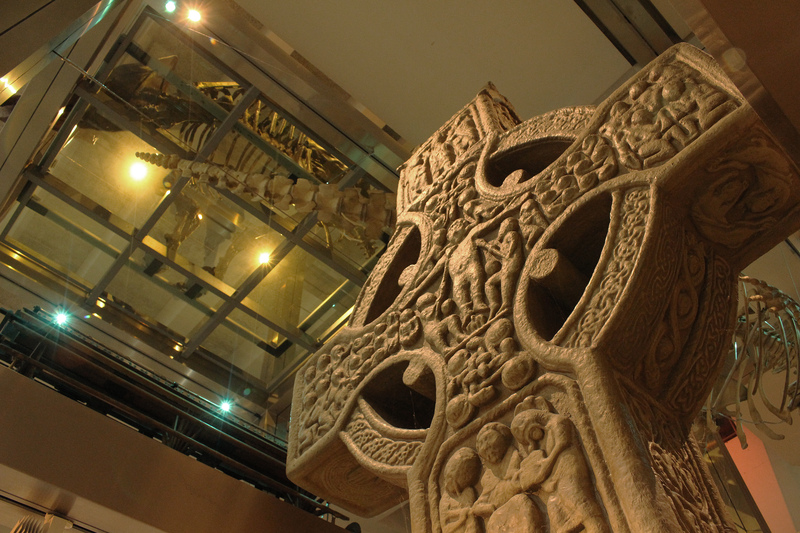 you can just see the rib cage of the triceratops in this shot above the cross. and by the way entrance is free. 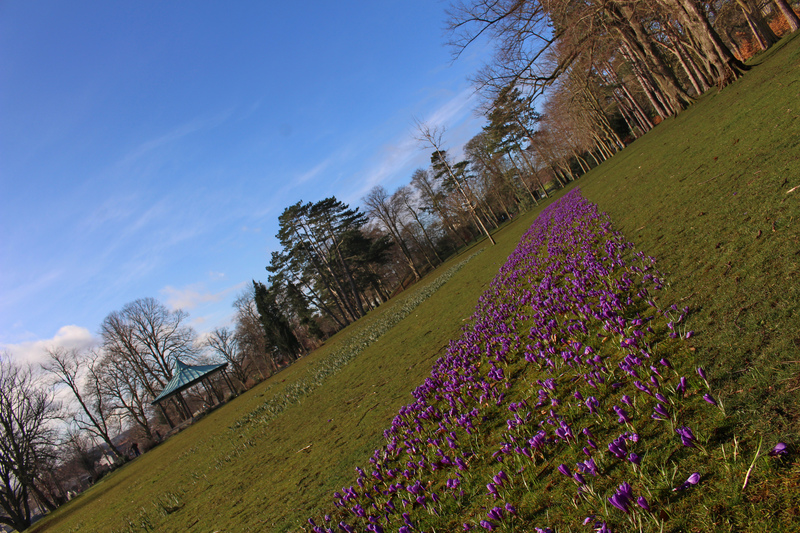 well it feels very much like its officially starting – spring flowers appearing everywhere. 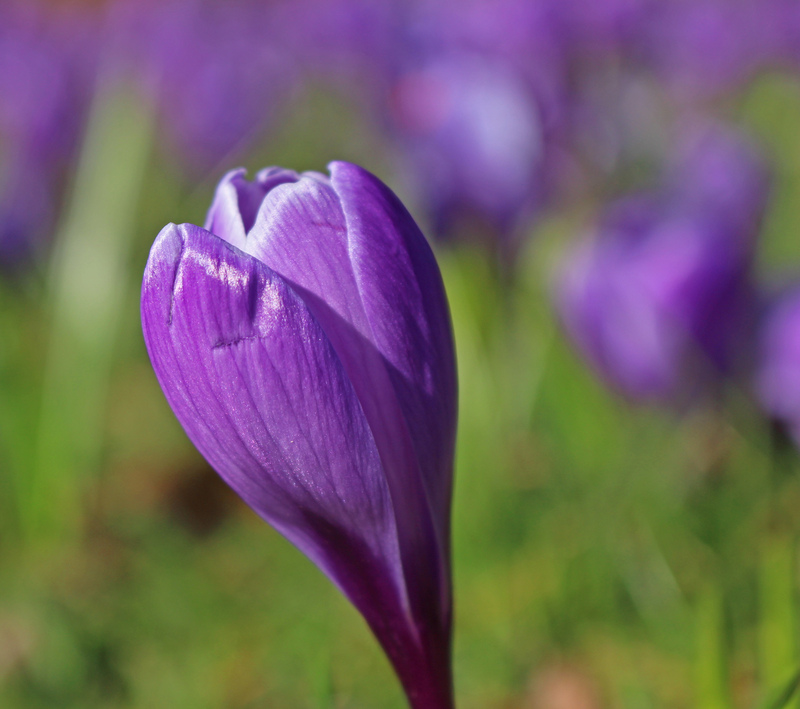 I seem to have seen lots of crocuses recently or snow drops or daffodils. 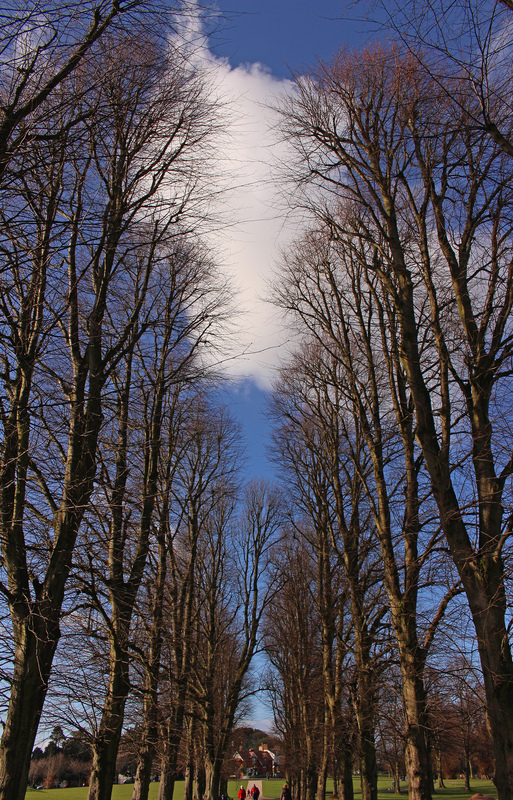 The sky was even blue this afternoon when I went for a walk with my dad in Lurgan park. Haven’t been there for years. I love this tree lined avenue. These shots were taken this morning at home in Lisburn. Rows and rows of flowers blooming in the sun and struggling in the wind. 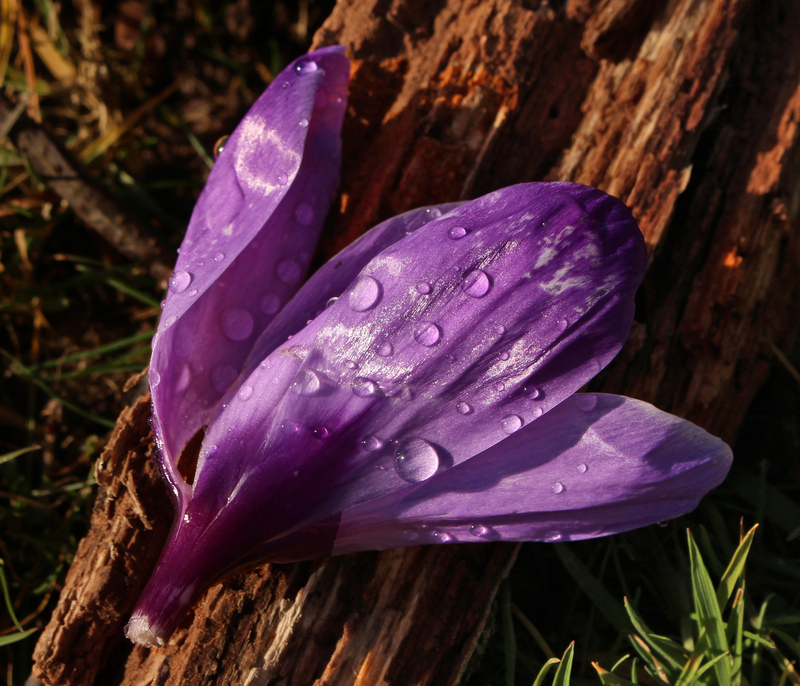 Some have already fallen – I found this dying crocus on a fallen rotting branch.